The following PK3 contains a recreation of the weapon seen in a screenshot from an old magazine, this was done in total around a week, I've made it a Grenade Launcher for the sake of variety, it's standalone but it shouldn't have any issues running with Nevander's Retribution. Zip with all sprites: Download. -id Software and its sound engineers for the Doom 3 sounds used. -Midway, for the original concept. -Me for the model, animation and rendering. -Clay, Indecom, DrPySpy and everyone who helped me directly or with inspiration. Last edited by YukiHerz on Thu Apr 11, 2019 5:38 pm, edited 5 times in total. I never knew it was supposed to be the rocket launcher. Imo it looks more like a flamethrower and I thought it served as the prototype for the laser gun/unmaker. 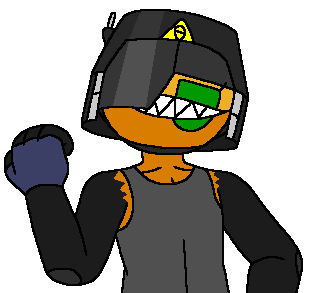 Updated with the finished sheet, this can be considered done, no further edits will be made, but more weapons may come (Mancubus and Cyberdemon Cannons, Rifle/Machinegun), no promises. Wait, so that's a Rocket Launcher (Or Grenade Launcher, as the mod say)? Not a Flamethrower? Well that's a thing. Once again, really nice, clean and retrospective work. Nice! Captain J wrote: Wait, so that's a Rocket Launcher (Or Grenade Launcher, as the mod say)? Not a Flamethrower? Well that's a thing. It was originally thought to have been an early version of the Unmaker, but one of the original level designers recently mentioned that it was probably an early version of the Rocket Launcher that was redesigned... either by Id's request or because it just kinda looked weird. 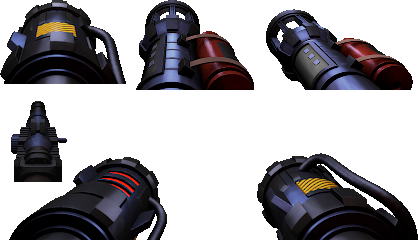 Added a Zip with all the current Mancubus cannon sprites (dual and single), along with the beta weapon's sprites. Excellent Additional sprites! Just like in the original game. Looks gorgeous and might be useful!... Tho if i can make a suggestion, how about angled version of that Grenade Lanucher? Updated the zip with the machinegun/rifle and angled beta launcher. This is beyond the horizon of awesome! Lovin' that 90's rendered look. Nmn wrote: This is beyond the horizon of awesome! Lovin' that 90's rendered look. Agreed, therse are great. However, that 90's rendered look also limits their more general usability. I wonder how easy it would be to make them look more like the final D64 weapons and thereby make them easier to integrate into other projects? Definitely beyond my skillset, I'll see about releasing the .blends soon though. Have you tried messing around with bump/displacement texture maps for detail?